Due to arrangement of the Parade line-up we CANNOT ACCEPT ENTRIES ON PARADE DAY! The road will be closed from 2:45 PM to 4:00 PM. The extended time will help parade entries return to the park more safely. As you enter the gate of the Park you will be assigned an entry number. This number also marks the location in the park where you/your group will prepare and wait for the parade to begin. It will also, identify your place in the parade lineup. All parade line-up assignments will be based on proper flow and movement of the parade and ease of staging, spacing and SAFETY. If a parade unit changes its line-up position without approval its introduction by the Parade announcer and those of others may be incorrect. All line-up Changes must be approved by the Parade Marshall. The Parade route is a left turn out of Western Gateway Park, down Penn Valley Drive, and across Spenceville Road to the Penn Valley Rodeo Grounds. Allow approximately 20 feet between each entry and PAUSE for about 1 minute in front of the Grandstand/Announcer. The grandstand is located toward the end of the route just prior to reaching Spenceville Road on the right side of Penn Valley Drive going toward the Rodeo Grounds. THE SAFETY OFFICER HAS REQUESTED NO GIVEAWAYS OR THROWING OF ARTICLES, INCLUDING CANDY. 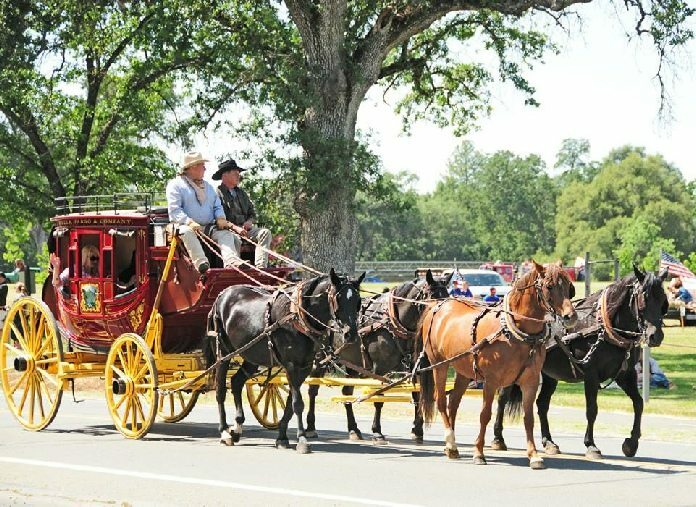 IF YOU MUST RETURN TO WESTERN GATEWAY PARK TO PICK UP YOUR VEHICLE OR MEET OTHER TRANSPORTATION, PLEASE RETURN TO THE PARK AS SOON AS THE LAST ENTRY IN THE PARADE HAS SAFELY ARRIVED AT THE RODEO GROUNDS. FOLLOW THE DIRECTIONS OF THE PARADE MONITORS AT ALL TIMES.